A New Jersey mother is facing multiple charges after her 5-year-old son shot his 4-year-old brother in the head while playing with her gun, killing the younger child, the Washington Post reports. The shooting, which authorities have classified as accidental, occurred at the family's East Orange, N.J., home around 11 a.m. Saturday, the Jersey Journal reports. According to the Journal, the 4-year-old child was rushed to the hospital but was pronounced dead at 4:26 p.m. The children's mother, Itiyanah Spruill, is facing charges of endangering the welfare of a child and a weapons violation in connection with the death. According to NJ.com, Spruill was home at the time of the shooting. Spruill is being held at the Essex County Jail on $310,000 bail, the site notes, and the older child has been placed in the custody of a family member. 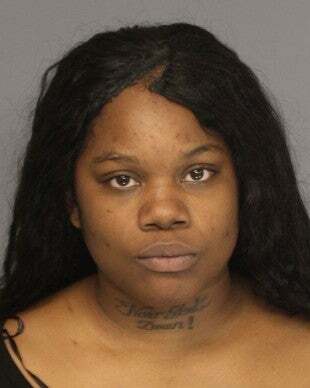 NJ1015 reports that the 22-year-old mom has already been in trouble with the law in terms of weapons, having been charged in 2014 with unlawful possession of a handgun, possession of a firearm for an unlawful purpose and aggravated assault.